Argentina is such a passionate country. It is hardly surprising with all the natural wonders that fills the country such as the vibrant music, >hospital culture and colourful streets. Here at Sleepbox Argentina we are proud to be a small part of this. Whether you are looking for a quiet rest space within the work environment so your employees can rejuvenate during the day and keep their productions levels up, or you are simply looking for an alternative option to the traditional hotels; whatever your needs Sleepbox can fulfill them. The luxurious interiors of a Sleepbox Argentina capsule offers a home from home feel, perfect for students, families and business users alike. The Sleek exterior of a Sleepbox can be made to blend in or stand out in its environment, an ideal solution for both small and big venues. Why not combine the traditional use of a Sleepbox with advertising to gain a faster return on investment. Have the Sleepbox branded in your corporate colours or attach a flat screen TV on the exterior, broadcasting your latest adverts. However you want to utilise a Sleepbox, we can make it happen. 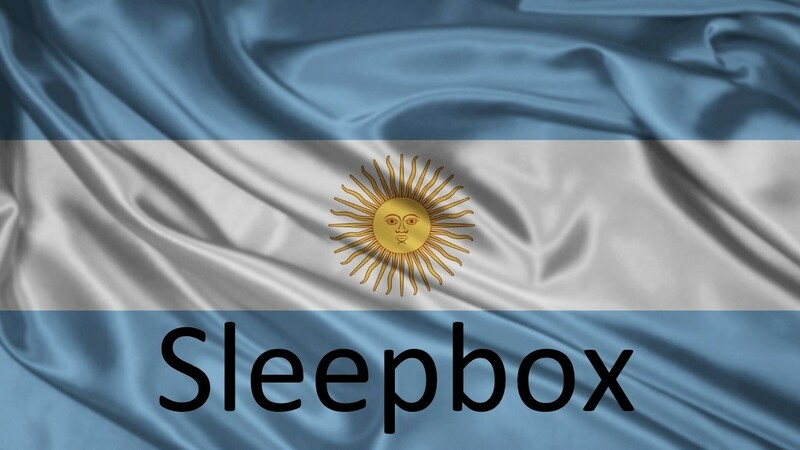 Contact Sleepbox Argentina for a Sleepbox price or for more information info@sleepbox.co.uk or click on the side menu bar to view the full Sleepbox product range.